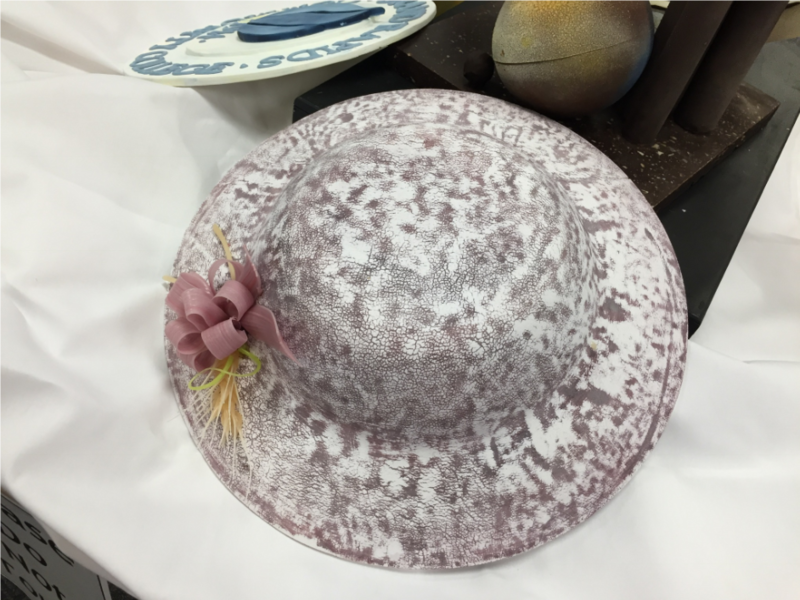 A selection of pastry & icing centerpieces created by our marvelous culinary students. 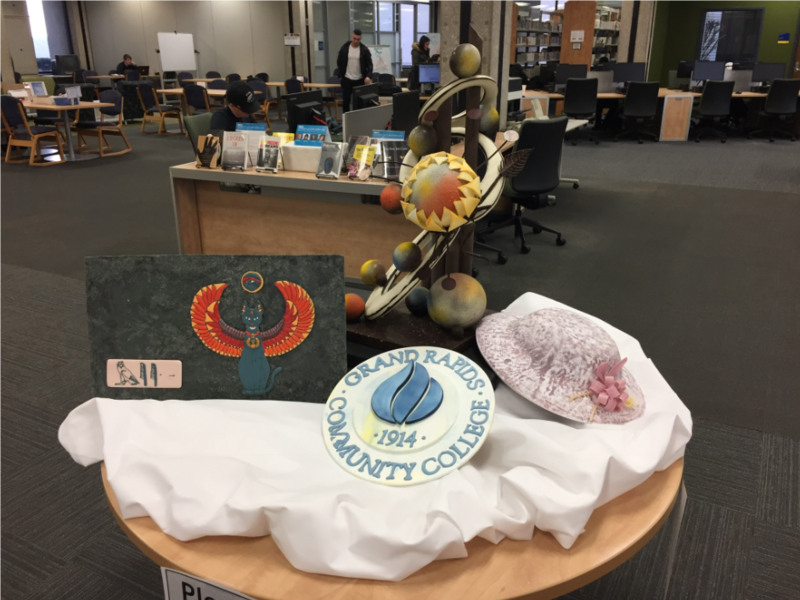 The Library & Learning Commons is proud to show off some of the newest creations from the CA265 Pastry Centerpieces and Wedding Cake class. This Secchia Institute for Culinary Education class is taught by Professor Chef Gilles Renusson. 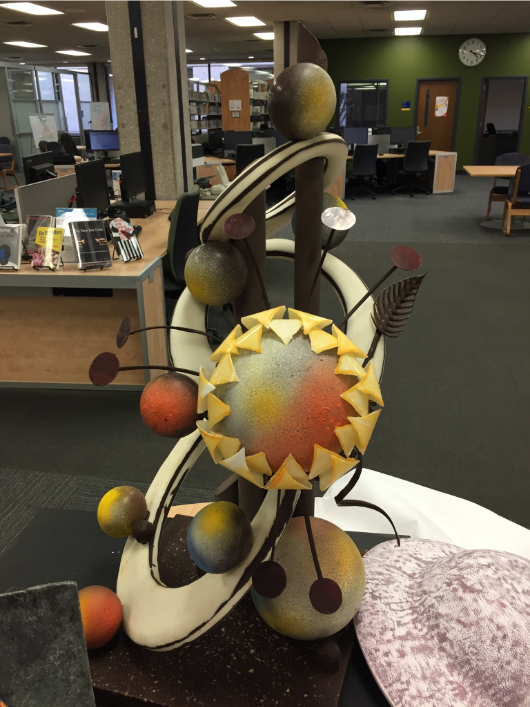 How else might a Library support a culinary program? Take a look at our Culinary Arts Subject Guide. Check out the coloration detail on this chocolate beauty! Party hat suitable for a Derby Day Party!